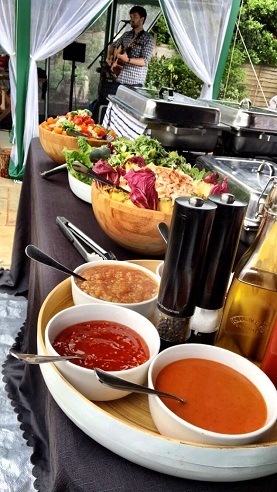 Are you looking for a superbly catered meal for your next event? You’ve come to the right place as we can help! 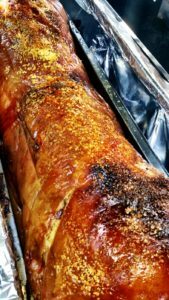 As Dorset’s best hog roast company, we’re specialists in arranging everything you need to make the catering at your next event a resounding success. 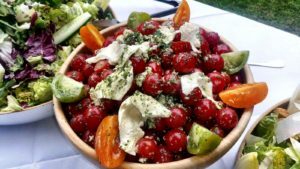 We’ll take the hard work and hassle out of the catering planning for you by providing you with a unique food experience while giving you the confidence that all your guest’s appetites will be fully satisfied. Our belief is that our customers deserve nothing but the best which is just one of the many reasons why we only employ expertly trained chefs and cook with locally sourced ingredients. Whether you’re hosting a large wedding reception, getting together with old classmates, or having a small corporate gathering, we’ll make sure your guests are well fed by providing them with a delicious and mouth-watering hog roast feast. Thanks to the superior design of our hog roast machines, we are able to take mobile catering to whole new levels (in some cases quite a long way above sea level!) and regardless of where we are cooking, we can adapt to the landscape around us and provide food of a consistently excellent standard whether we’re on the sand or at a clifftop venue 100 metres above it. While our environment changes from day to day, Hog Roast Dorset’s professionalism and commitment to quality always remains steadfast. For over 10 years we’ve been handling events of all sizes and styles, while accumulating a long list of happy customers along the way. We pride ourselves on our excellent customer service and we have a lengthy track record to prove just how superior our service is. No matter what kind of event you’re throwing, you can be sure that with our extensive experience and professional skills, you and your guests will be well taken care of. Dorset’s dramatic landscape and stunning coastline is brimming with some of the finest examples of natural history in the UK. Shaped by time and tide, the Jurassic Coast, with its fossil-filled ancient rock formations, is a geologist’s dream and thoroughly deserves is listing as a UNESCO World Heritage Site. Part of this coastline is made up of the 18-mile long Chesil Beach, which is one of only 3 major shingle beaches in the UK. Dorset also has many impressive man-made monuments that gives its coastline even more character and distinction, such as the 11th century Corfe Castle. Once an important coastal stronghold, even in its ruined state, its imposing tower still makes its dramatic mark on the landscape today. Here at Hog Roast Dorset, we have a great appreciation of the natural world around us and we firmly believe in celebrating the magnificence of the region’s natural resources, which is why we are so discerning about our ingredients and only select the finest quality local produce for all of our menus. With such an awe-inspiring coastline, we love getting out in the open air and catering in all of the fabulous locations that lend themselves so perfectly to hog roast buffets and banquets of all sizes. 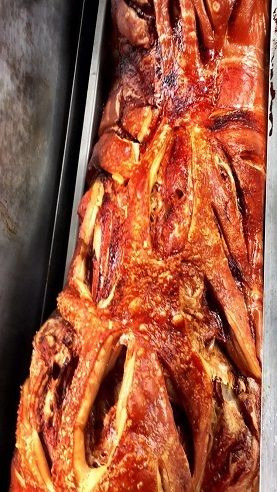 If you want to have a hog roast but don’t necessarily need the catering staff, rent the machine from us and do the roasting yourself! We’ll give you the hog machine complete with everything you need, including the gas and the hog. After you’ve finished with it, we’ll come and pick it up and you don’t even need to clean it as we’ll do it for you! 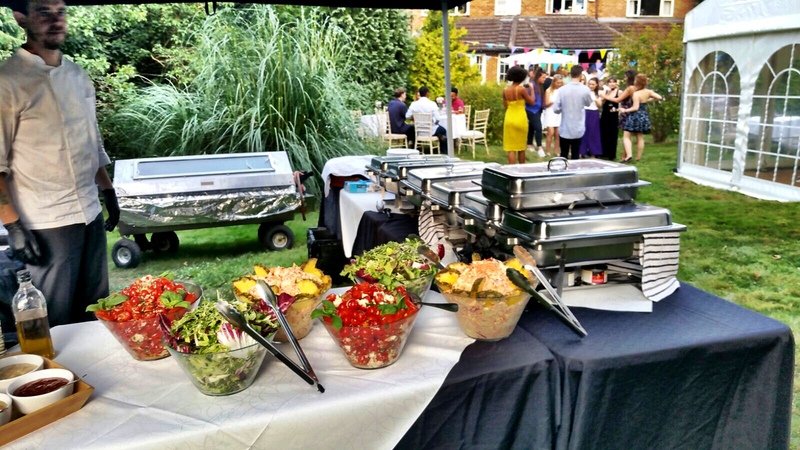 Contact us today for more information – we look forward to looking after all of your catering needs.